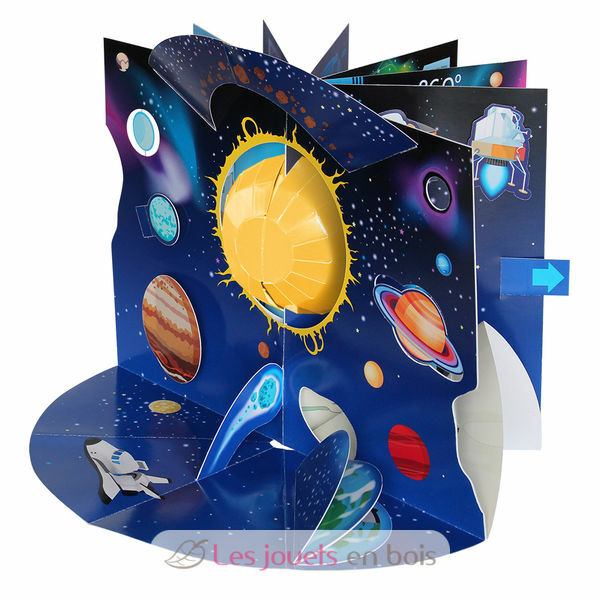 Learn lots of fun facts as you explore this fantastic pop-up book! Four different subject areas will help you learn all about the mysteries of the universe, the planets in our solar system, the stars, black holes and galaxies in the cosmos! Sassi Junior's little books are printed on recycled paper with environmentally friendly inks. 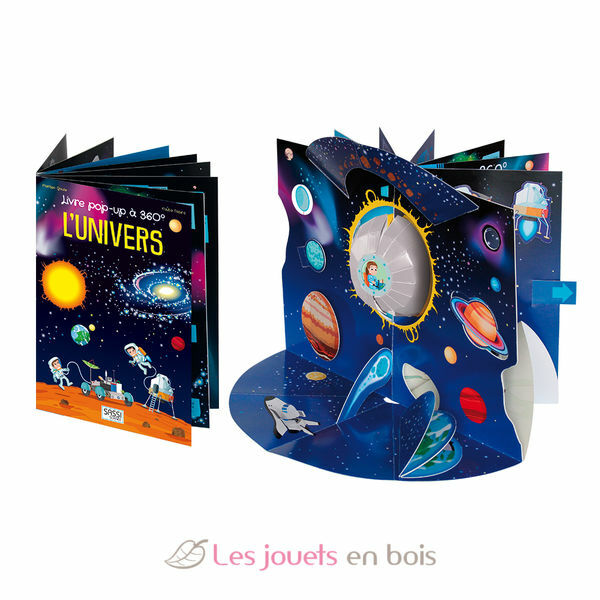 360° Pop-up Book The Universe made by Sassi Junior.